The person interviewed here, Dr. Massimo Biondi, has been a good colleague and friend for several years. I first “met” him via email (we have corresponded for years), and them met him physically in conventions held at Vienna and Utrecht. Massimo is a physician who works as a science writer in Rome, Italy. He is the director of Gestioni e Servizi Editoriali, a communication and publishing company. He has authored and co-authored more than one hundred articles, and six books about medical topics. Massimo has been involved in parapsychological research from the end of 1970s, when he conducted experimental researches with ESP cards and dice. He has also conducted field studies. One of his main interests has been the history of Italian psychical research, a topic we have discussed repeatedly in our correspondence and about which he has extensive knowledge. He published an important book that remains the standard source about spiritism and psychical research in his country entitled Tavoli e Medium (1988), which I reviewed in English. In addition, Massimo has published what I consider to be excellent overview books of parapsychology in general. These are La Ricerca Psichica (2003), and Parapsicologia (co-authored with Patrizio Tressoldi, 2006). He is now editor-in-chief of the Italian journal Quaderni di Parapsicologia and was one of organizers of the program for the last convention of the Parapsychological Association, held in Viterbo, Italy in August of the present year (on this conference click here ). 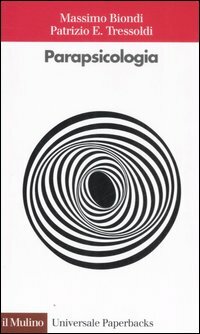 It was during the summer of 1972 that I began, with a pair of my relatives, some experiments in hypnosis, performed under the guide of a book by the French Léon Chertok just published in Italian. Among other tests in the trance condition, we tried to stimulate some “paranormal” phenomena (basically, OBEs and precognition), obtaining some interesting results, although only in a subjective perspective. I was already lightly intrigued by narratives of apparitions and hauntings that were rather popular in the area of Italy from where my family came, so it has been natural in the subsequent years to acquire and deepen the knowledge of the parapsychology by reading books and specialized magazines, attending conferences held in my town (Rome), knowing some experts and so on. Some years later, toward the middle of that decade, I started some parapsychological research by myself: I still remember how, alone or with the collaboration of a few friends, day after day I amassed thousands of trials on ESP (clairvoyance and telepathy) and PK tests, following Rhinean methodologies, progressively modifying the involved variables, and gathering … nothing to note. In 1979 I studied “my” first poltergeist case; in 1980 I held my first public lecture. These were my beginnings in parapsychology. In the early days of my involvement in parapsychology, I was an enthusiast of the forced-choice experiments and worked only following this methodology: in about ten years, I completed probably 50,000 trials. However, because I obtained null results overall, I gave up such work and focused my interests primarily on spontaneous cases. My initial contributions to the general development of parapsychology, in my country, were some articles in which I justified and promoted this “new” course of activity. Later, I published more articles and papers on spontaneous anomalous experiences (death-bed visions, apparitions perceived by children, psychokinetic events coincident with a distant death, the vardögr, and so on), until recently when I completed and presented at conferences some “phenomenological analyses” on those cases (following Schouten’s methodology). In the meantime I began to publish some articles on the history of this field: the foundation of the S.P.R., a reconsideration of G. B. Ermacora, the quantitative study of mediumistic personalities by W. Carington, and so on). Then, this interest strengthened and in the years that followed I published a book, some book chapters, articles and papers on the development or particular events of the history of parapsychology and spiritism. I mostly limited the research to Italian issues, due both to the lack of preceding studies on the topic, and the difficulty of finding original and significant documents on foreign people. I would like to add that for the general development of parapsychology in my country, I consider of some value also contributions different from the publication of my writings. The reference, here, is to an “activity” that I performed especially in the last 25 years, which consisted of: helping and assisting to the best of my abilities new scholars and researchers willing to experiment in parapsychology, and helping undergraduate students complete their master theses; supporting some parapsychologists in publishing their books (I am professionally engaged in publishing activities), introducing or supporting the entrance of parapsychological topics into the university, through academic publishing (e.g., the recent book I published with Patrizio Tressoldi), in congresses (e.g., in an international congress on physical and psychological disabilities, I arranged the presentation of a lecture on parapsychological research by Robert Morris). All this does not go beyond the boundaries of the country, however my opinion is that even these actions help the overall development of a cultural enterprise even if in a small way. Since the days of the first psychical researchers we have known that men and women have strange experiences: subjective, intimate experiences, that sometimes seem correlate to (without being in continuity with) physical or psychological events occuring in the outside world. Similarly, a few people claim to be able to use their own strange experiences and to make them available to others. Because all this seems to remain outside the boundaries of the field explored by the traditional scientific disciplines (including psychology, born after psychical research), a dedicated discipline that tries to understand these anomalies is far from being an unnatural enterprise. From an historical point of view, each branch of science, born with the purpose of exploring (define, observe, deconstruct, experiment, interpret, that is, to accumulate knowledge) a well defined and circumscribed aspect of reality, is welcome. So, too, psychical research/parapsychology has to be welcomed and applauded if it proposes to explore the field of psychic anomalies. In my view, apart from the well-known problems of exclusion, lack of funds, staff shortage and so on, a serious obstacle to the development of parapsychology as a scientific discipline has been constructed by parapsychologists themselves, or rather, by a fair number of parapsychologists. Instead of cultivating a true scientific interest in anomalies, such parapsychologists try to use the anomalies highlighted by research to confirm their pre-conceived ideas about nature and science (generally, in the sense of supporting a nonmateralistic and non-scientific view of reality). In so doing, they elicit strong opposition from researchers and scholars who belong to dominant culture and to science. If these parapsychologists change their attitudes, by transforming their research in a truly scientific sense, by changing their language towards more conventional term (e.g., by using terms less likely to evoke prejudice, etc.) and by examining the issues for their own sake and not to support a particular point of view, it is likely that they would obtain more results and be better able to contribute the integration of parapsychology into mainstream science. Another important (for me) change is the following: researchers should continue their studies on the same topics for more time then they currently do. Most parapsychologists (too) frequently change their interests. If they pursued longer lines of research, it is likely that they would become better specialized, and more able to both imagine new experiments and studies, and offer training to new researchers, and so on. Another of my interests is the phenomenology of spontaneous anomalous experiences, and now I am focusing on non-recurrent psychokinetic events concurrent to distant deaths. I’m augmenting the number of cases at my disposal (some of them, I obtained by personal inquiries; a significant number have been excerpted from bibliographic resources). 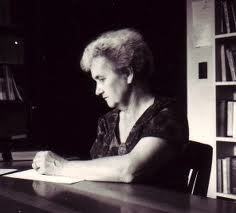 My goal is to verify the results obtained by Louisa Rhine and to test a few new hypotheses. Finally, I am conducting some further historical studies: in particular, a general overview of Italian psychical research, a topic on which I am writing a book, in which I will focus on some forgotten figures of the past such as Cesare Vesme and Francesco Egidi. I plan to write something of this in English too, to offer to foreign colleagues some shred of historical knowledge which might be useful for those who are interested in the development of general parapsychology as well as to stimulate new ideas or hypotheses for current researchers. 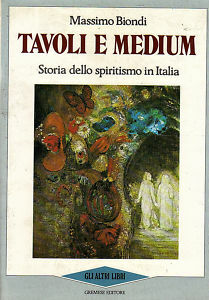 Tavoli e Medium (Gremese, Rome, 1988) a history of Spiritualism in Italy during the 20th century. La Ricerca Psichica (Il Minotauro, Rome, 2003), an introduction to parapsychology. Misteriose Presenze (Mondadori, Milan, 2004), on haunting phenomenon. Trasformazioni (Mondadori, Milan, 2005), about “quantum change,” as a possible explanation of sudden personality changes considered by the parapsychology. Parapsicologia, co-authored with Patrizio Tressoldi (Il Mulino, Bologna, 2006), an overview of the history and results of experimental parapsychology. “L’occulto portato in evidenza: teatri, giornali, tribunali”, in: Le case “Infestate” fra Palcoscenici e Tribunali, with excerpts from Francesco Zingaropoli’s and Cesare Lombroso’s books, edited by Gabriele Mina (Besa Editrice, Nardò, 2008, pp. 84–96), to show how psychical research was done in 19th-century Italy, when there were no laboratories. “Spiritism in Italy: The Opposition of Catholic Church,” in C. M. Moreman (Ed.). The Spiritualist Movement: Speaking with the Dead in America and around the World, Vol. 1: American Origins and Global Proliferation. Santa Barbara, CA: Praeger, 2013. “Glimpses of Eternity. Shared Death Experiences. A new class of anomalous experiences.” (book review) Journal of Scientific Exploration, 2012, 26, 194–198. “Dei fenomeni di psicocinesi in relazione a eventi di morte.” Luce e Ombra, 2012, 112, 311–322. “Quando le NDE fanno paura.” Luce e Ombra, 2012, 112, 157–166. “Incontri personali con le NDE.” Luce e Ombra, 2012; 112, 61–70. “Il Vardøgr. Sensazioni di preannuncio di un arrivo.” Quaderni di Parapsicologia, 2012, 44(1), 67–77. “Cambiamenti di vita dopo l’NDE.” Luce e Ombra, 2011, 111, 261–268. “NDE. La cognizione dell’ambiente.” Luce e Ombra, 2011, 111, 157–167. “I pri primi anni della ricerca sulle NDE.” Luce e Ombra, 2011, 111, 65–75. “Sulla natura del poltergeist.” Quaderni di Parapsicologia, 2011, 43(1), 44–56. “The strange case of the Marquis’ transportation.” Psypioneer, 2009, 5(10), 328–333. “Defining the picture: A pragmatic approach to non-recurrent spontaneous psychokinesis cases.” In Proceedings of the Presented Papers at the 8th European Meeting of the Society for Scientific Exploration “Frontiers of Biology and Contemporary Physics”, Viterbo August 13–16, 2009. “Marco Levi Bianchini: A forgotten Italian supporter of parapsychology.” Journal of Scientific Exploration, 2009; 23: 323–328. (second author, with Alvarado, C.S.) “Enrico Morselli’s forgotten bibliography.” Psypioneer, 2008; 4(8): 190–192. “Francesco Orioli e il ‘meraviglioso’”. Intersezioni, 2006, 26(2), 233–250. (second author, with Alvarado, C.S., & Kramer, W.) (2006). Historical notes on psychic phenomena in specialised journals. European Journal of Parapsychology, 2006, 21, 58–87.